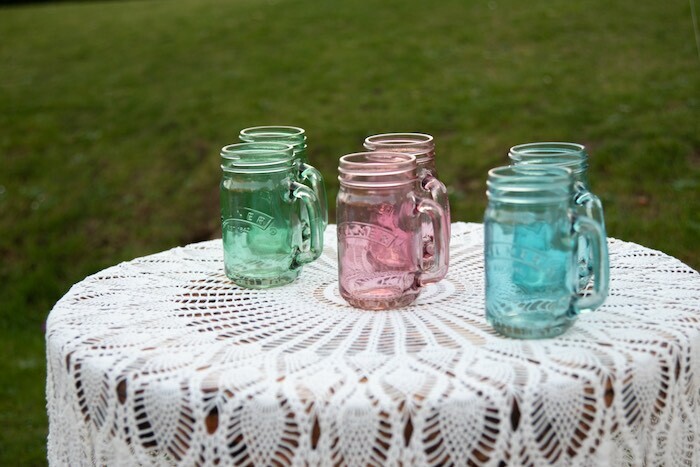 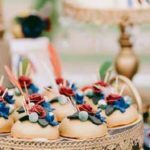 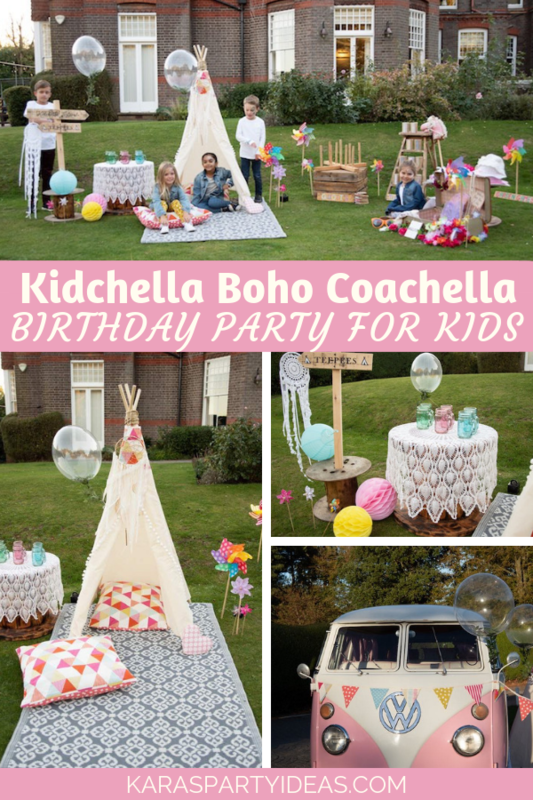 I’m positively charmed by this “Kidchella” Boho Coachella Birthday Party for Kids! 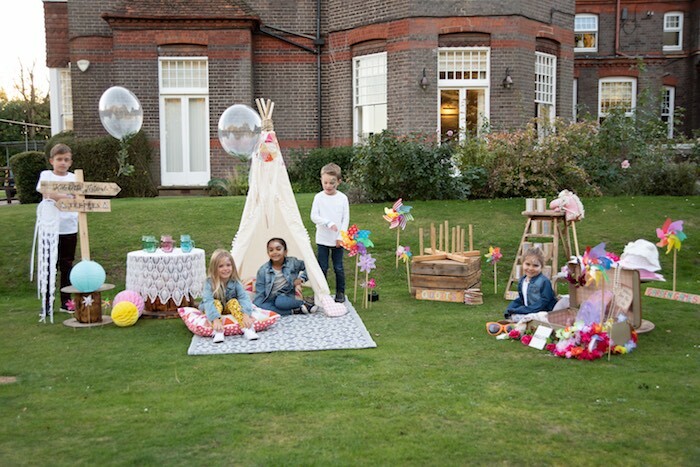 Styled by Katie Parker of Pitch Boutique, out of Hemel Hempstead, UK; this event is packed with fab event you won’t want to miss! 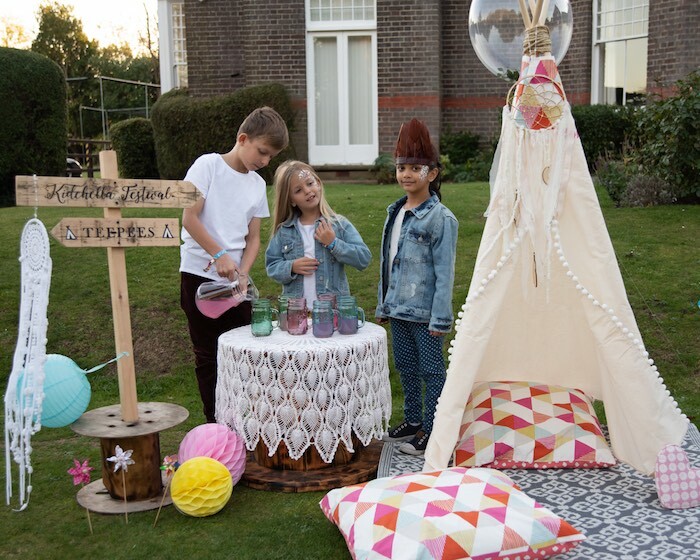 “This Coachella themed kids party (Kidchella) shoot was run in partnership with Pitch Boutique and Ami Louisa Photography to showcase hosting youre very own Kidchella at home. 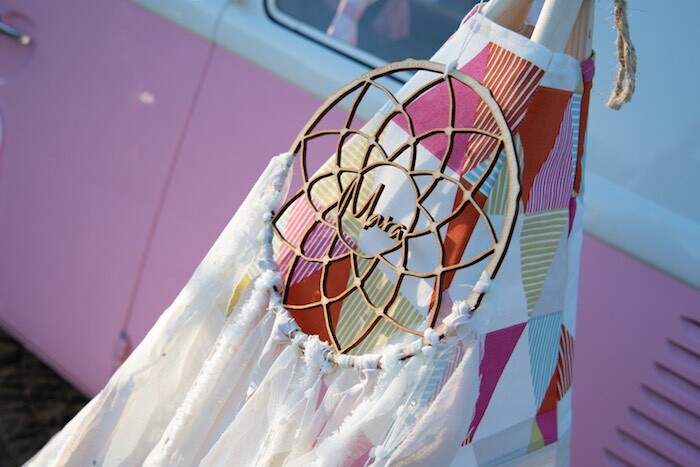 We used Festival staples such as dreamcatchers, tipis, glitter and even a VW campervan to set the carefree and relaxed atmosphere. 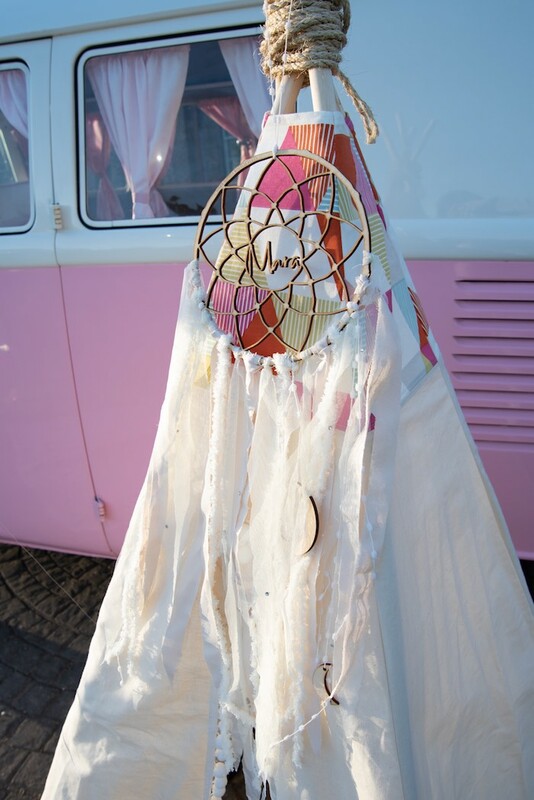 This shoot was staged outside for a vibrant and true festival setting, afterall Coachella is held under the stars! 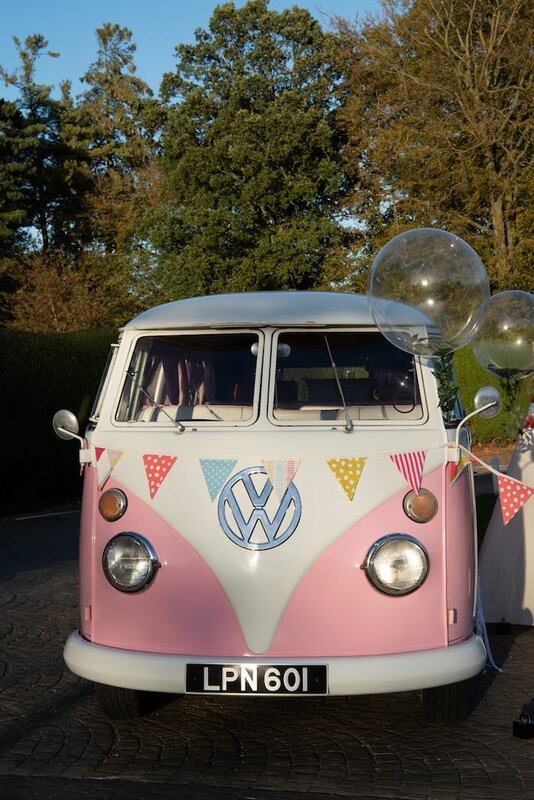 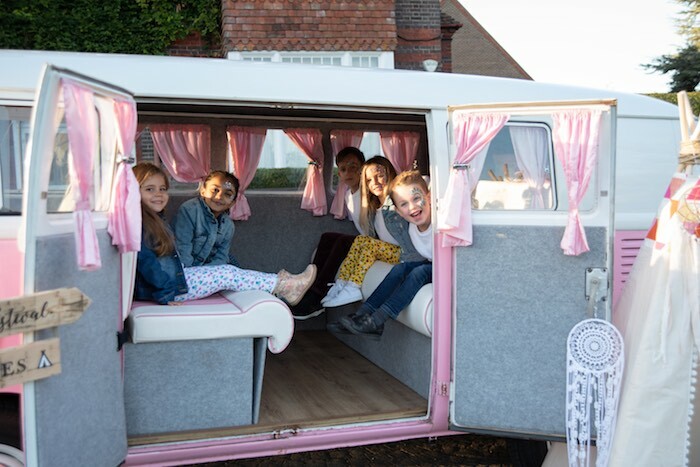 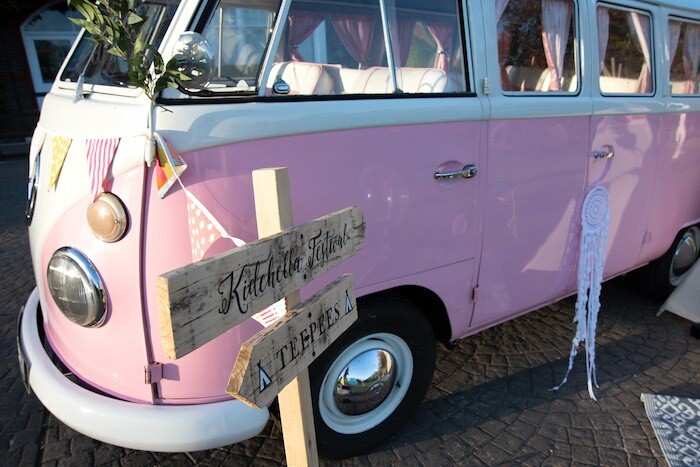 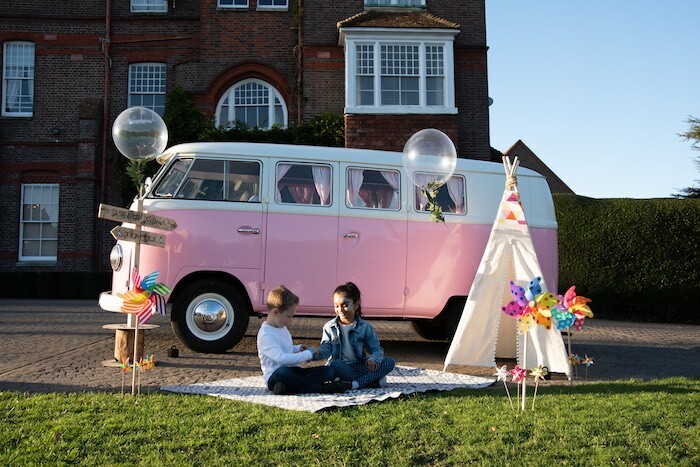 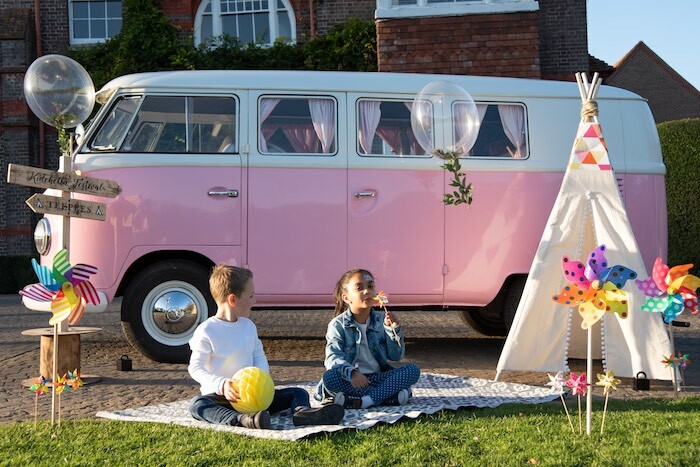 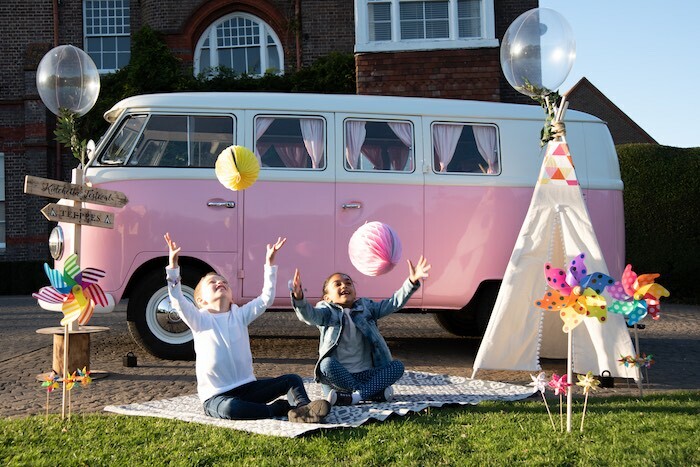 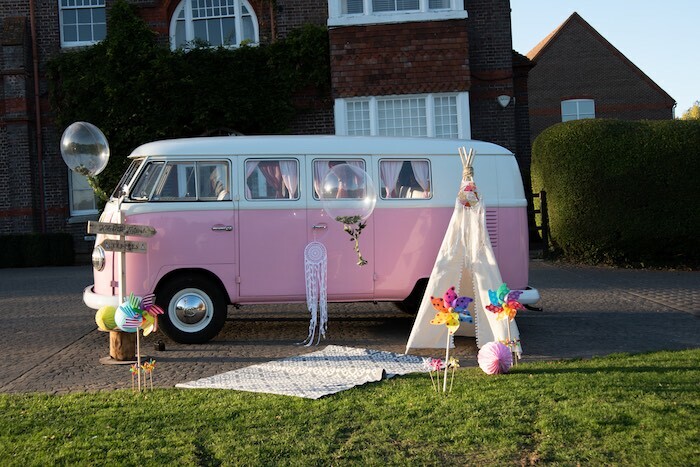 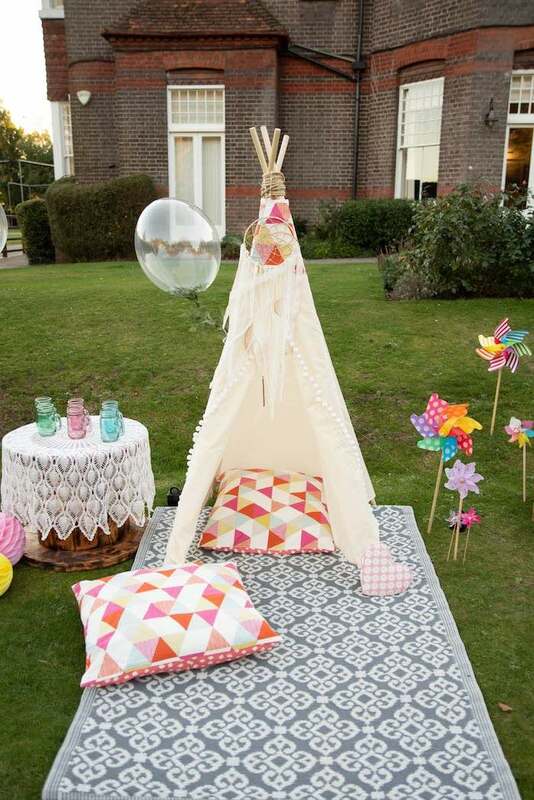 We brought through bohemian vibes with the childrens tipi provided by Pitch Boutique, and the VW campervan from Beetle Drive UK. 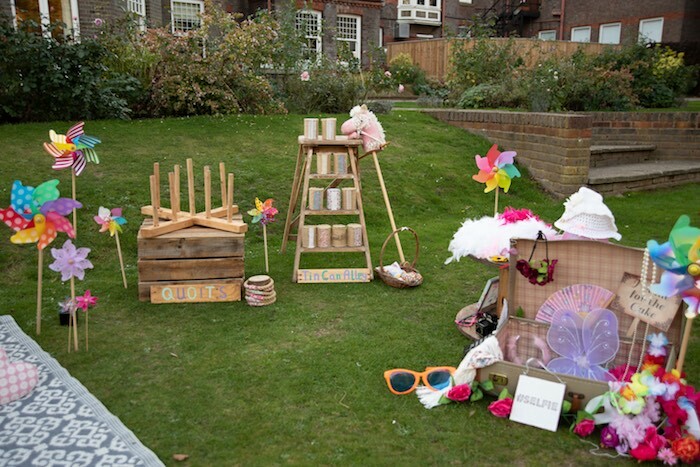 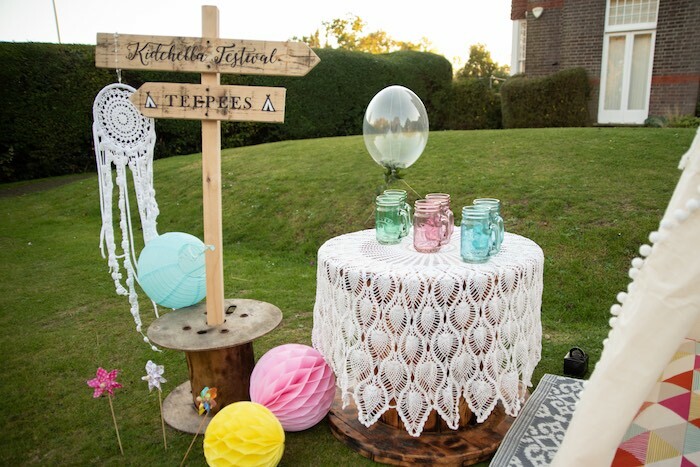 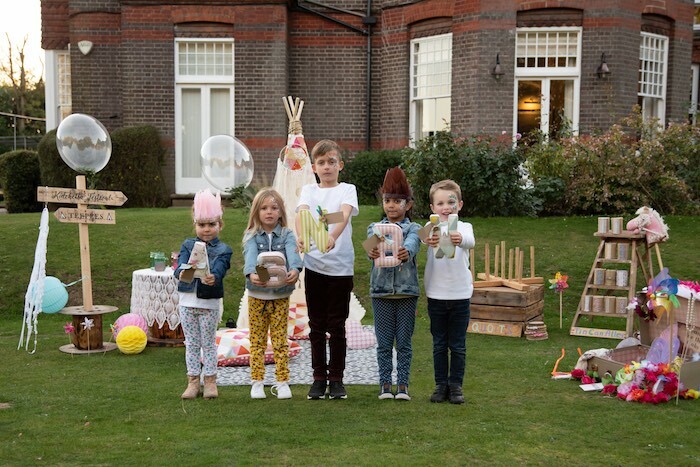 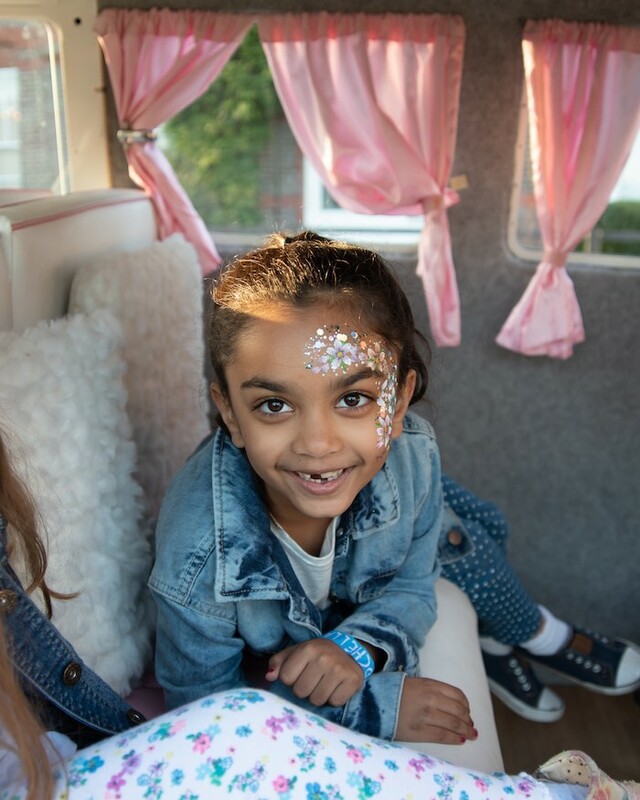 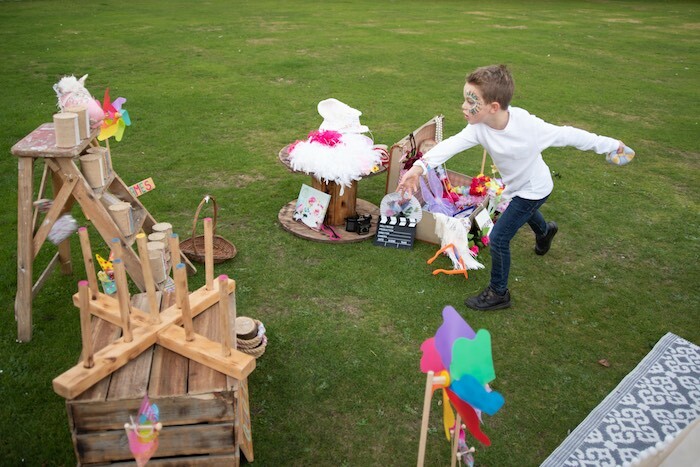 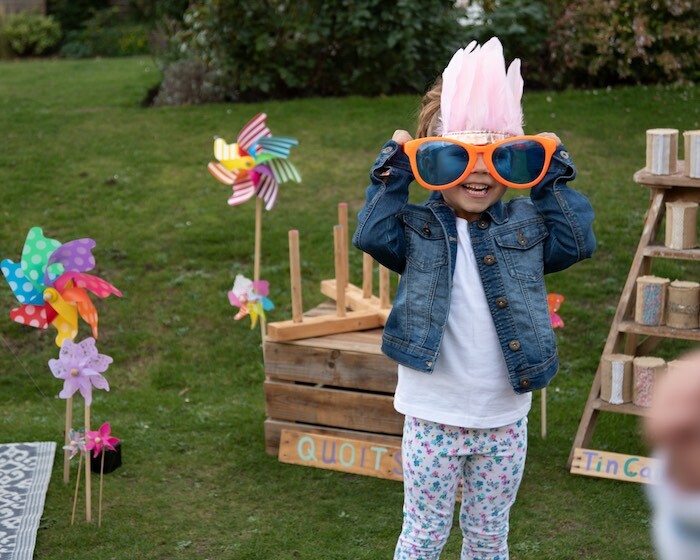 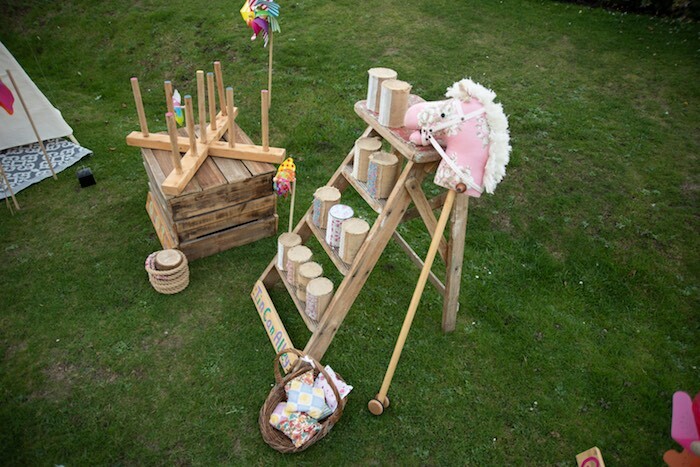 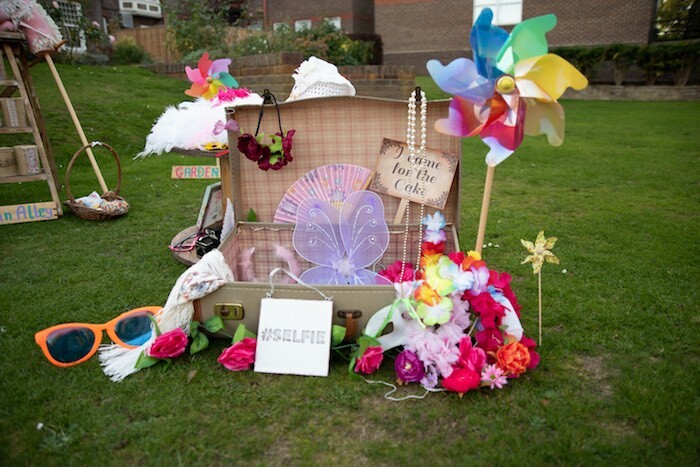 Our little models were treated like VIPs with Kidchella wristbands and got to have fun in the sun playing vintage garden games provided by Herts Vintage Hire. 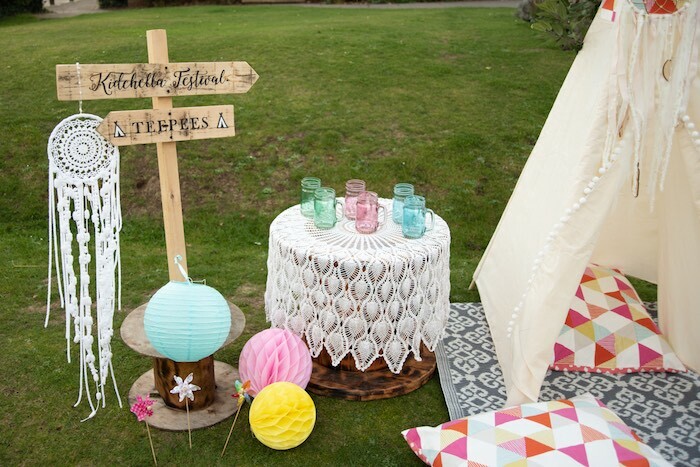 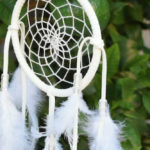 Suzanne Oddy Designs provided beautiful dreamcatchers and the rustic wooden signage to finish the bohemian setting. 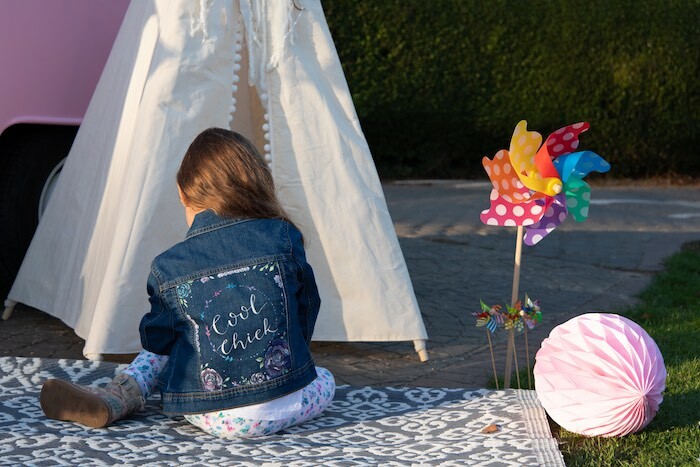 Not to forget the incredible hand painted cool chic denim jacket from Mummy and Moon, this is a new product from her collection! 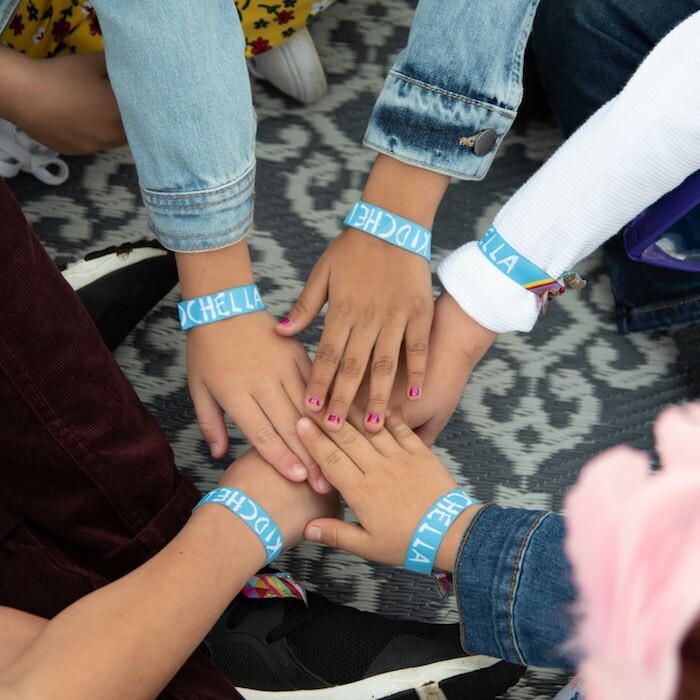 Thanks so much for featuring our KIDCHELLA party Kara!!! 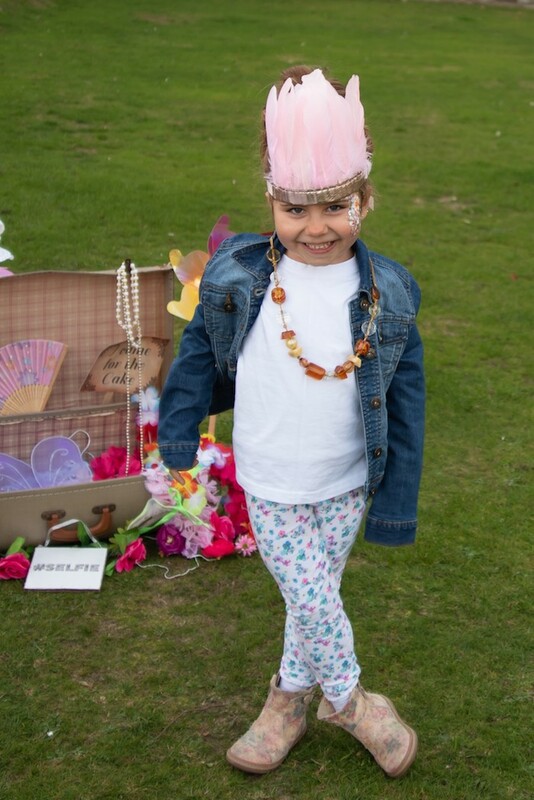 Thanks so much for sharing this shoot Kara! 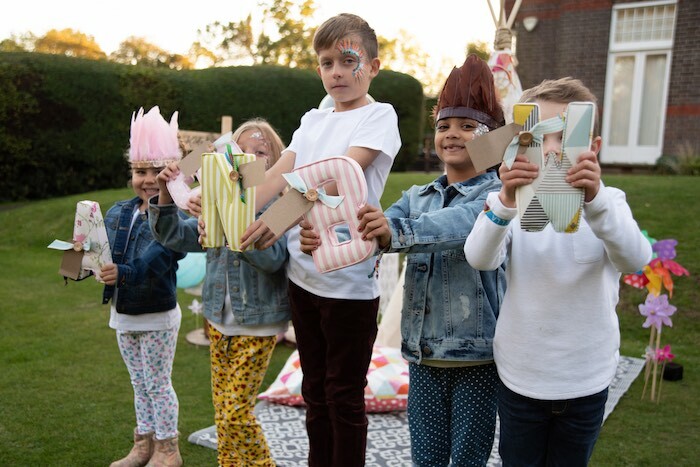 I loved creating the painted jacket for this amazing day!